Thicker belts are cheaper and easier to produce, but your walkman will be out of wow/flutter specs! I had to buy more than 300 walkmans to get accurate information about the belt size. Before I listed my belts, I tested each. Recording mode: WAV, MP3. Color: black. Due to the light and screen difference, the item's color may be slightly different from the pictures. Anyway we will try our best to avoid this kind of thing. Recording mode: WAV, MP3. USB cable length: about 80cm. Interface: USB. 1 USB cable. Due to the light and screen difference, the item's color may be slightly different from the pictures. Power consumption: less than 400mW. 3X(New and high quality. Put inside the tape, connect it to your PC and use the software provided to convert the whole tape in MP3 format. model recording / Playback: WAV, MP3. If you want to listen to the tape you'll need earphones, do not supports the external speaker. ). 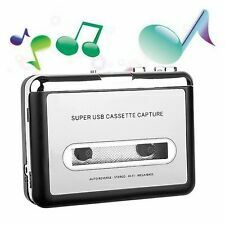 With this Ezcap230 cassette tape to MP3 converter, you can easily convert your old tape to MP3 without a computer, you just need to plug a USB flash disc on then press “record” button, the device will convert all of the music on tape to your USB disc in MP3 format automatically. Reader Converter Cassettes to MP3 CD Cassette Tapes Tape Eat Color: Black Size: 115 x 92 x 35mm (length x width x height) USB Cable Length: About 80 cm Interface: USB, 3.5mm jack Convert the entire tape in MP3 format, which entered the PC, then play on your computer or IPOD, or stored on CD. feature plug & play, no driver required, software conversion attached, easy to use model power: from battery or USB Supports Windows XP / Vista / 7, Windows7 model recording / Playback: WAV, MP3 If you want to listen to the tape you'll need earphones, do not supports the external speaker. working voltage: 2 x AA batteries (not included) or USB port, DC5V 500-1000mA Function keys: Play, pause, fast forward, rewind, record, volume / -, volume adjustable, choic. Simple plug and play design, you'll be able to simply insert your cassette and start converting. Convert cassettes into MP3 files without the need of a PC. 1 Cassette Player. E asy to copy all your songs with the simple touch of a button. For your computer, for iPod or car playback device. Portable design. 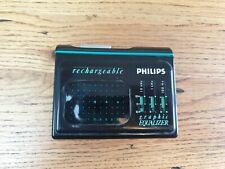 Can be used as a normal cassette player. You can connect an old-fashioned record player to your device and convert your records to MP3 songs. Simple plug and play design, you'll be able to simply insert your cassette and start converting. Convert cassettes into MP3 files without the need of a PC. 1 Cassette Player. With its play back function and 3.5mm audio jack, allow you to instantly listen back your MP3 files. 6X(Stand alone ,no computer required. Small size, can play convert anywhere. converter for: MP3. 1 x USB cable. Note:Light shooting and different displays may cause the color of the item in the picture a little different from the real thing. ). Recording mode: WAV, MP3. Due to the light and screen difference, the item's color may be slightly different from the pictures. Anyway we will try our best to avoid this kind of thing. Plug and play function, no need for driving; easy to operate, smart shape. 5X(New and high quality. Put inside the tape, connect it to your PC and use the software provided to convert the whole tape in MP3 format. model recording / Playback: WAV, MP3. If you want to listen to the tape you'll need earphones, do not supports the external speaker. ). USED AND WORKING. NO HEADPHONE OR EARPHONES NO BOX OR MANUAL. 5X(Enables to convert old tapes/cassettes to MP3 format and playback on MP3 players. 1 x USB Cassette Capture Converter. Format of TF Card: Support FAT / FAT32 / exFAT. Recording Format: MP3. Plug and play USB device, no drivers required. ). The recorder will only start when you hear noise, and stop recording when there is silence to recover again at the next noise. Interface: USB 2.0. Anyway we will try our best to avoid this kind of thing. ONE Walkman belt, new, unused. Thicker belts are cheaper and easier to produce, but your walkman will be out of wow/flutter specs! I had to buy more than 300 walkmans to get accurate information about the belt size. WALKMAN UNITED WP 9540 DIGITAL, AM / FM, CASSETTE, WITH BUILT-IN RADIO. Multifunctional voice recorder. Built-in microphone. 1 x Microphone. 1 x data cable. 1 x phone recording adapter. Size 107 x 28 x 17 mm. WALKMAN THOMSON TK-35, NEW WITH BOX YEARS 90. Quick snap, quick video recording, quick review. Cycled recording and repeat storage by section. Due to the different monitor and light effect, the actual color of the item might be slightly different from the color showed on the pictures. 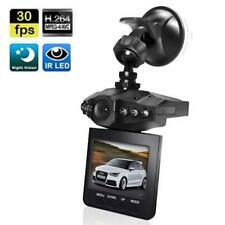 (Car HD 1080P Ultimate Dash Cam Digital Video Recorder DVR. 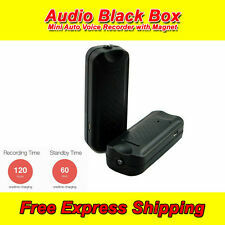 1 x car DVR (without battery&SD card). 2) 6 LED lights, support night vision. 2) Color may vary slightly due to the color setting of each individual monitor. NO HEADPHONES OR EARPHONES OR BOX. USED AND WORKING. The recorder will only start when you hear noise, and stop recording when there is silence to recover again at the noise. 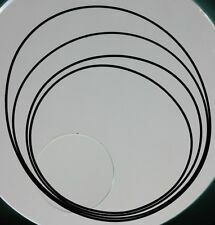 1 x U Disk. 15 hours of continuous recording, very easy to use. Recording format: WAV. Besides being a great phone/digital voice recorder is also a really great mp3 player. Being also a great MP3 player, you can listen to music through earphones (included) or through the device's speaker. Put inside the tape, connect it to your PC and use the software provided to convert the whole tape in MP3 format. model recording / Playback: WAV, MP3. 2X(New and high quality. If you want to listen to the tape you'll need earphones, do not supports the external speaker. ). The recorder will only start when you hear noise, and stop recording when there is silence to recover again at the next noise. 1 x U Disk. 15 hours of continuous recording, very easy to use. Recording format: WAV. Convert your old mix tapes and cassette to MP3 to Playback on iPod/MP3 player or burn to CD. 1 x USB Cassette Capture. Rediscover your old cassette tapes on the go. One available USB 2.0 port. Plug and play USB device, no drivers required. Portable CD Player Color: Pink PLL FM Radio Programmed playback PLAYBACK OF CD-RW . 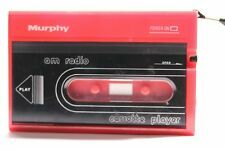 Can be used as personal cassette player. - Converts your precious cassette collection to MP3. - USB Cassette Player. - Recording Format: Wave, MP3. - One available USB 2.0 port. - USB Cable. - Flexible battery or USB-powered operation. (4) Cycled recording and repeat storage by section. 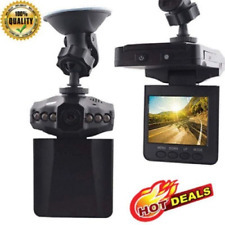 Car HD 1080P Ultimate Dash Cam Digital Video Recorder DVR. 5) Quick snap, quick video recording, quick review. 2) 6 LED lights, support night vision. Small size, can play convert anywhere. converter for: MP3. 1X(Stand alone ,no computer required. 1 x USB cable. Audio channel: Stereo L/R. With playback can check the recorded music on the device. Note:Light shooting and different displays may cause the color of the item in the picture a little different from the real thing. ). 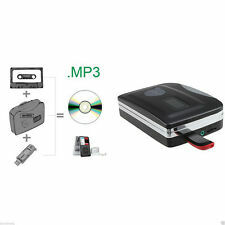 Top loading CD player Programmable memory for 20 CD tracks Cassette player FM radio LCD display . Puffy sticker (2 sheets) 2 x 1 Watt RMS Radio LCD Display WxDxH in cm: 26 x 24 x 13 . 1 x Cassette tape converter to MP3(Without tape). 1 x USB data cable. It can be used as a regular walkman too to play your old caseettte, with a 3.5mm headphone jack. 1 x User guide.